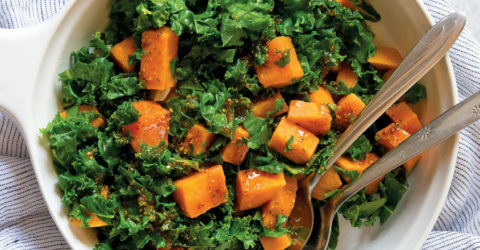 This simple sweet potato dish comes together in minutes and is a guaranteed crowd pleaser. 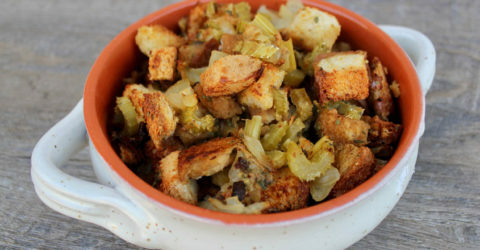 Thanksgiving is all about the stuffing for me! 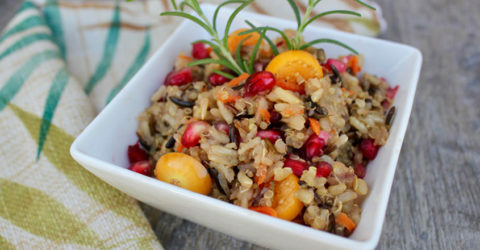 This delicious plant-based stuffing tastes just like the traditional holiday version you grew up with but without the fat. 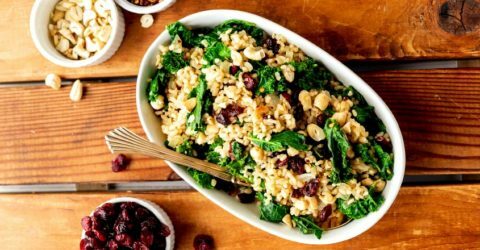 Serve this pilaf as a side dish or stuff your favorite squash with it. 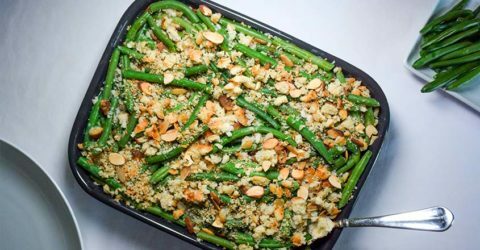 This plant-based green bean casserole is a healthier, dairy-free version, and just as creamy as the original. 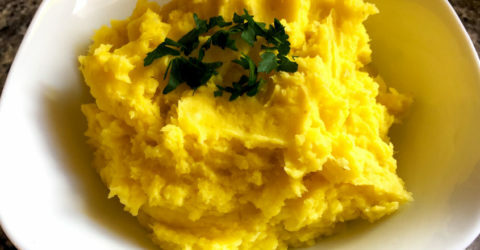 You can serve this ultimate comfort food for Thanksgiving or other winter holiday gatherings. 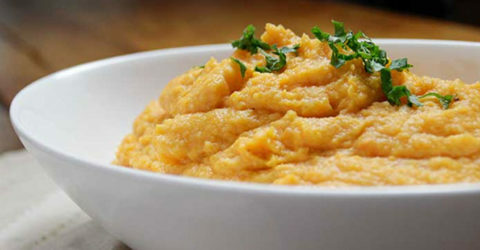 The combination of sweet potatoes and cauliflower is a nutrition powerhouse. This quick and easy recipe is creamy and savory with a touch of sweet. I first had a peanutty dish similar to this when my sons treated me to dinner at an African restaurant. What makes this recipe so good is that I serve it on top of Plátanos Maduros. 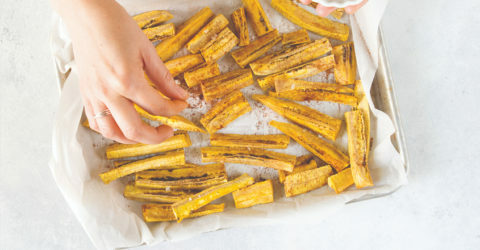 One of the most common foods in tropical climates, the plantain is incredibly versatile and relatively simple to prepare. Larger than bananas, plantains can be consumed whether they are green or yellow and can be found in most grocery stores. What I’ve learned about cooked kale is that you need to make the perfect sauce. 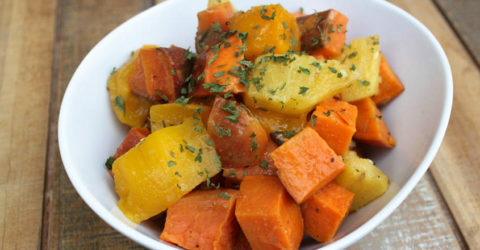 In this recipe, I’ve used a lemon mustard sauce and then added a touch of sweetness from diced sweet potatoes. These perfectly crisp baked french fries are the perfect side for veggie burgers and carrot dogs. 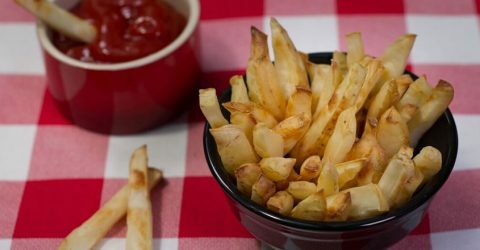 By boiling the potatoes for a few minutes before baking, you reduce some of the starch and provide enough moisture to yield crispy fries that are completely oil free. 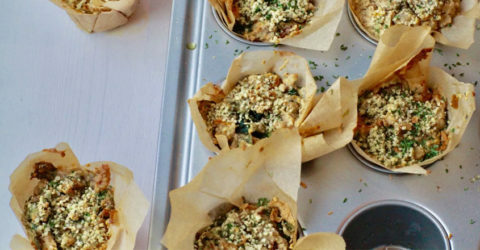 These vegan muffins pack a powerful nutritional punch unlike traditional muffins, which are often full of butter, sugar, and saturated fats. 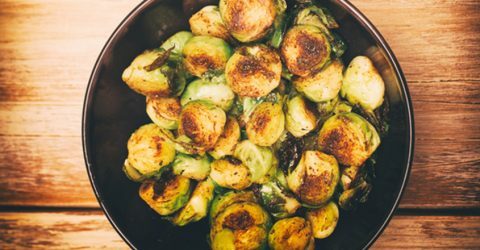 They make a great breakfast, and are the perfect size for a light lunch or mid afternoon snack. 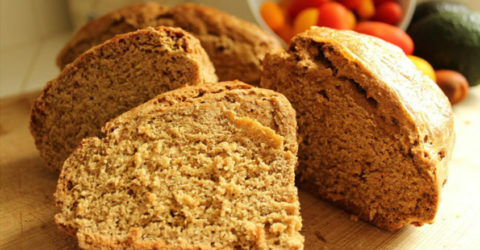 A couple of months into my plant-based journey, I began to miss my little Sunday ritual of making my Irish grandmother’s traditional Brown Soda Bread. 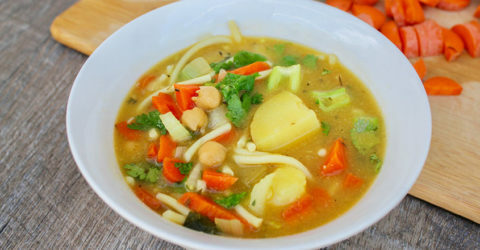 It’s so simple and satisfying to make, that after trying, and spectacularly failing to find an equally delicious alternative, I decided to come up with my own vegan version of it. And although it’s taken a good few weeks of fine-tuning, I think I’ve finally cracked it. Not wanting to stray from the original recipe too much, I substituted only what was absolutely necessary in order to keep the taste as authentic as possible. I’m super happy, and proud, of the outcome, as I know my grandmother would not only give me her seal of approval but also join me in having a nice oven-warm slice together with a delightfully strong cup of black tea! It’s a truly wonderful bread, that can be enjoyed with sweet or savory toppings, or even just plain, being perfect to dip in any kind of vegetable soup or stew. 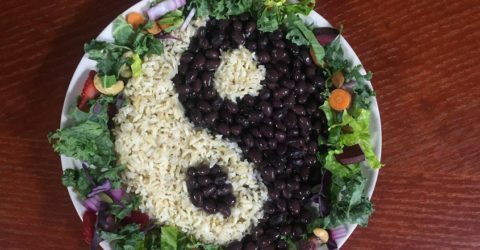 This rice and beans recipe compliments any vegetable dish for a deliciously filling plant-based meal. 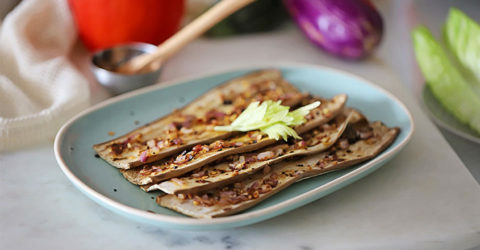 This grilled eggplant recipe is oil-free and packed full of flavor. This recipe is more about cutting technique than ingredients. 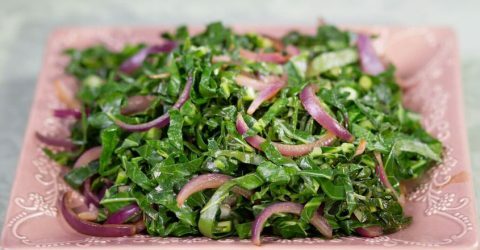 Our family never ate many collards until I learned this ribbon style of cutting, which eliminates their tough texture. If you usually just chop them, you’ll see that this style of cutting makes a huge difference. 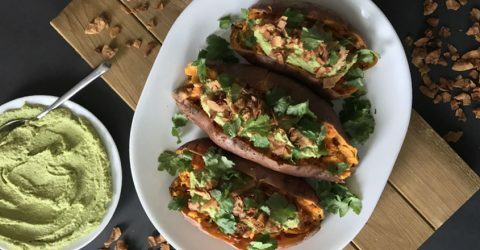 The sweetness of sweet potatoes combined with creamy hummus and savory coconut bacon bits, serve as the perfect meal or side dish for any occasion. 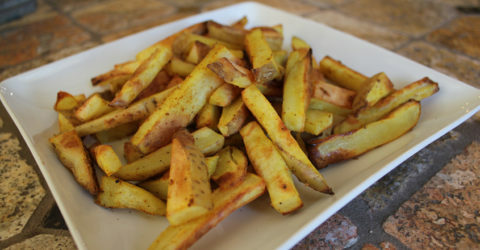 Traditional French fries are my biggest “high fat” weakness, so I am motivated to cut and bake my own fries that are both healthy and satisfying. 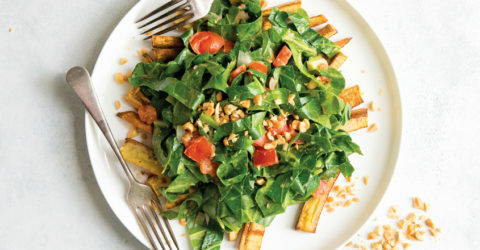 This recipe has all the crunchiness of traditional French fries without all the fat. 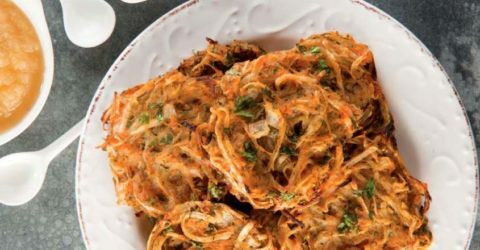 This recipe was inspired by the canned onion strings on top of a traditional green bean casserole. The canned onions are greasy, salty, and highly processed, and I knew there had to be a delicious alternative. 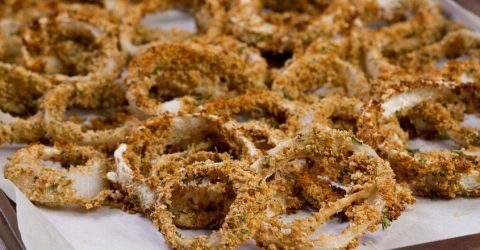 These onion rings are it! In fact, the first time I threw them together, my family ate them all before they even made it to the top of the casserole. These tots are sans taters and plus cauliflower, tahini, and flax. 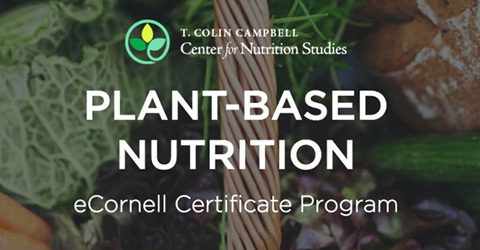 Cauliflower transforms into a nutritious and delicious snack. 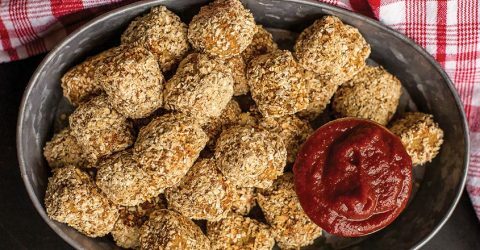 I recommend serving these tots warm alongside a bowl of Speedy Two-Minute Ketchup for the ultimate dipping experience. 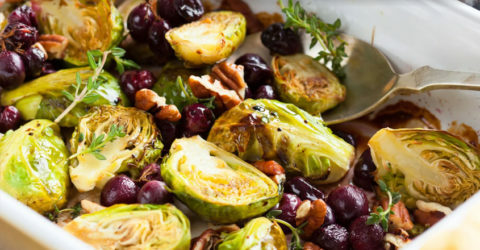 This wonderful dish can be served hot or cold. 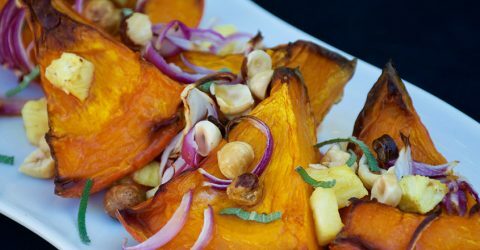 Red Kuri squash can be served with the skin on without changing the flavor or texture of the dish.